Build on What You Know While the Greek city-states were busy fighting each other, a new power was rising in the north. The king there was strong. You have learned that a strong ruler can often unite a divided people. 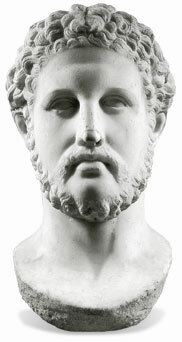 Philip II, King of Macedonia - Philip had dreams of defeating both the Greeks and the Persians. ESSENTIAL QUESTION Who conquered the Greek city–states? The new power to the north of Greece was the country of Macedonia (MAS•ih•DOH•nee•uh). Its king, Philip II, was 23 years old, strong and fearless. He had plans to build an empire that included the lands of Greece and of Persia. A Military Genius As a teenager, Philip had been a hostage in the Greek city of Thebes. There he observed its army and its military tactics. Philip learned of the advantages of a professional army, or an army of full-time soldiers, rather than one made up of citizen-soldiers. Philip organized a well-trained professional army. He devised new battle formations and tactics. He experimented with the combined use of cavalry and infantry. He supplied his soldiers with new weapons, like the catapult. A catapult is a military machine that was used to hurl stones at enemy forces and city walls. His soldiers also used battering rams to smash through closed gates. Alexander the Great - The detail is from this mosaic. It shows Philip's son, Alexander, in battle. Philip Conquers Greece After conquering the lands around Macedonia, Philip focused on the Greek city-states. After the Peloponnesian War, the Greeks were too weak and disorganized to unite against Philip. In 338 B.C., Philip completed the conquest of the Greeks. Philip became the ruler of the Greek city-states. His dictatorial rule ended Greek democratic practices. He brought Greek troops into his army and prepared to attack Persia. Alexander Takes Over However, in 336 B.C., Philip was assassinated at his daughter's wedding. His 20-year-old son Alexander took the throne. Many wondered if such a young man was ready to take control of Macedonia. ESSENTIAL QUESTION How did Alexander build an empire? Alexander was well-prepared for the job of king. He had been tutored by the finest Greek scholars and trained in the Macedonian army. He continued his father's plan of creating an empire. Alexander Defeats Persia Before Alexander could attack Persia, the Greek city-state of Thebes rebelled. Alexander destroyed the city. His cruel tactics made other Greek city-states too fearful to rebel. 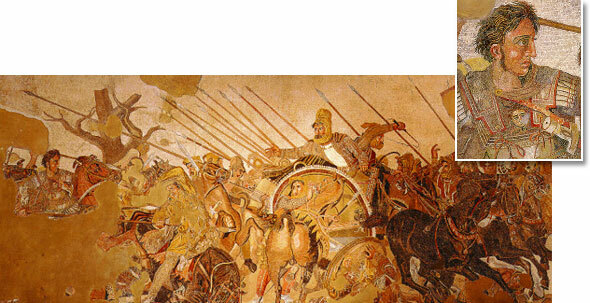 Next, Alexander moved his troops to Anatolia, where he attacked and defeated Persian forces. He used bold tactics, such as using thousands of troops to charge straight at the enemy. In the beginning, Alexander met sharp resistance from the Persians, but he was successful. Next, instead of going directly to Persia, he turned south and entered Egypt, which the Persians controlled. The Egyptians welcomed Alexander because they hated the Persians. They even chose him to be their pharaoh. Alexander then moved his forces from Egypt across Mesopotamia toward Persia. Finally, he struck Persepolis, the royal capital of the Persians. 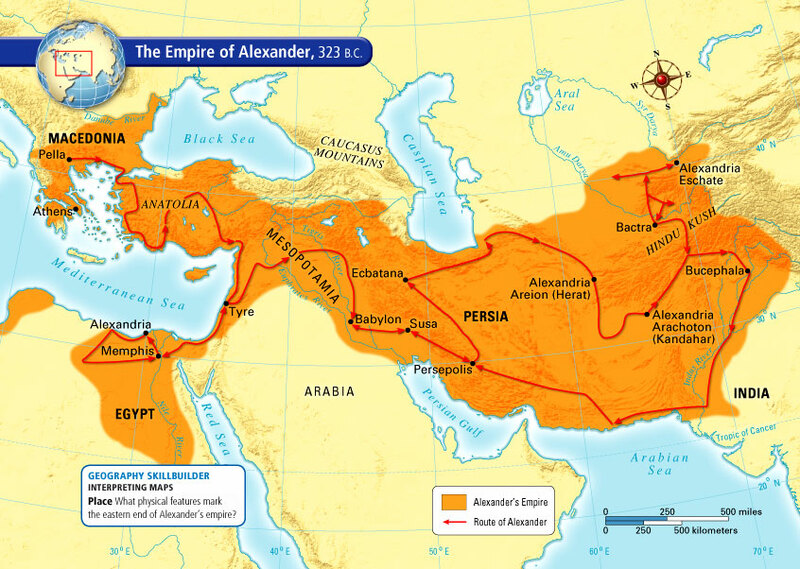 By 331 B.C., Alexander controlled the Persian Empire. 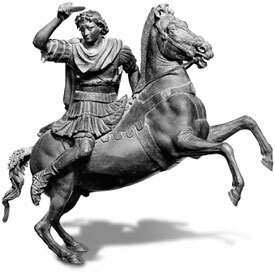 Alexander - Alexander rides his favorite horse Bucephalus. Alexander's Other Conquests In the next three years, Alexander pushed his armies eastward to conquer parts of Central Asia. In 326 B.C., they reached the Indus River Valley and India. Alexander urged his armies to continue eastward, but they refused to go any further. They had been fighting for 11 years and had marched thousands of miles from home. Alexander was forced to turn back. In 323 B.C., Alexander and his armies returned to Babylon. While they paused there, Alexander fell ill with a fever and died within days. He was 32 years old. Although he did not live to an old age, he managed to create a great empire. Because of his achievements, he is remembered as Alexander the Great. Alexander did not have time to unify his empire. After he died, military leaders fought among themselves to gain control of the empire. Not one of Alexander's generals was strong enough to take control of the entire empire. Eventually, three key generals divided the empire. ESSENTIAL QUESTION How did culture change under Alexander's rule? Alexander and his armies carried their culture and customs everywhere they went. As Alexander conquered one land after another, he set up colonies. He also built cities based on Greek culture. He named many of them Alexandria, after himself. The historian Plutarch, who lived a few centuries later, wrote that Alexander actually named 70 cities Alexandria. A Blend of Cultures Alexander left Greeks behind to rule his lands. 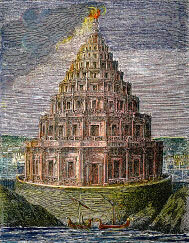 Greek became the common language in the lands he controlled. At the same time, Alexander adopted Persian clothing styles and Persian customs. He urged his armies to do the same. Some of the Greek settlers married Persian women and adopted Persian ways. In Egypt, the Greek rulers accepted Egyptian culture and blended it with Greek styles. In India, the same blending occurred. This blend of Greek, Persian, Egyptian, and Indian styles and customs became known as Hellenistic culture. Hellas was the Greek name for Greece. This culture influenced the lands of the empire for hundreds of years. Learning was especially affected by the mingling of cultures. The combined knowledge of the Greeks, Egyptians, Arabs, and Indians made new discoveries possible in science and medicine. Alexandria The most famous of the Hellenistic cities was Alexandria, Egypt, which Alexander founded in 332 B.C. The city was an important center of learning until the second century A.D. A library there contained major collections of Greek, Persian, Egyptian, Hebrew, and other texts. Scholars from the Mediterranean area and from Asia came to Alexandria to study. Iranian Manuscript - This manuscript depicts Hellenistic art. 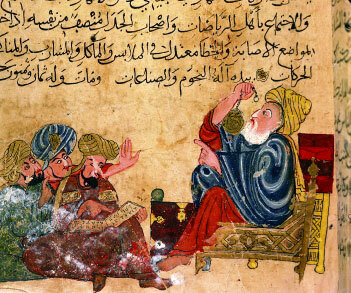 Aristotle, a Greek thinker, teaches astronomy to Persians. He is dressed in Persian-style clothing. Also located in Alexandria was the Temple of the Muses. Muses are goddesses who rule the arts and sciences. Many examples of the arts and sciences were stored there. Today we call such a location a museum. Alexandria also had an enormous lighthouse whose light could be seen 35 miles away. It is considered one of the Seven Wonders of the World. Lighthouse at Alexandria - The image above is an artist's idea of what the lighthouse may have looked like. • Philip II, king of Macedonia, conquered Greece. • Alexander the Great conquered the Persian Empire and parts of Central Asia. • Hellenistic culture—a blend of Greek, Persian, Egyptian, and Indian cultures—was created. The blended culture created by Alexander's empire forms a basis for culture in the countries that exist in those lands today.